Now that Bernie Sanders has brought forward his progressive agenda, including real health care reform through a single-payer universal Medicare for all program, the knives are out from the Republicans as well as Hillary Clinton to distort and discredit this option with false information and voodoo numbers. 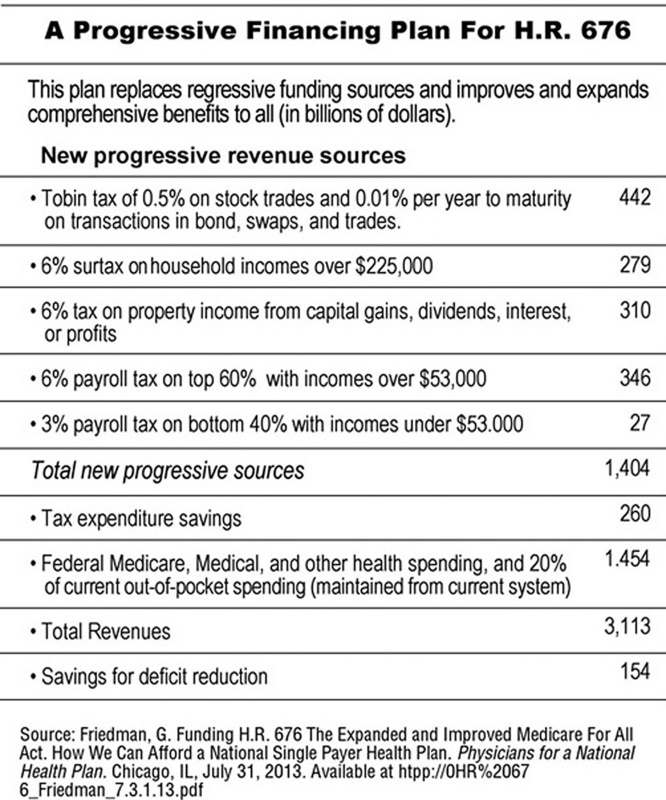 Going forward, we have three basic alternatives to further reform our health care system: (1) continue with the Affordable Care Act (ACA) with improvements as needed (which Hillary supports with barely a hint of what those changes might be); (2) the Republican "plan," including repeal of the ACA and emphasizing market-based "fixes", such as health savings accounts, selling insurance across state lines, and further privatization of both Medicare and Medicaid; and (3) National Health Insurance (NHI) through a Medicare for all plan, as currently embodied in H. R. 676, legislation pending in the House of Representatives. Let's cut through the smoke and mirrors of the debate and compare each alternative in terms of costs, affordability, and what we get in terms of access, quality, and sustainability. Republican policies have accelerated privatization of Medicare and Medicaid, adding higher burdens of administrative overhead and profits at public expense. Their policies are based on the concepts that markets can fix our problems and patients' demands are at the heart of inflating health care costs. Hence their reliance on "consumer directed health care," with its high-deductible, low-value policies which have failed for many years. How will this be paid for? 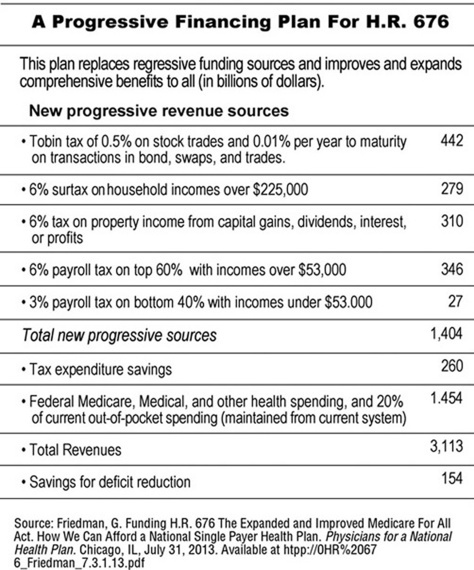 Table 1 proposes a progressive financing plan under which 95 percent of Americans will pay less than they do now for insurance premiums, deductibles, co-payments, and out-of-pocket payments for health care. Only 5 percent of high-income Americans will pay more. The payroll tax will become the main health care tax for people with annual incomes below $225,000--$1,500 for those with incomes of $50,000, $6,000 for those earning $100,000, and $12,000 for those with incomes of $200,000. With NHI, all Americans will have full choice of doctors and hospitals, quality of care for the whole population will improve, bureaucracy will be sharply reduced, and we will finally have a more accountable and sustainable system. (7) Employers will be relieved of their burden of providing health insurance for their employees and may be able to convert some of their previous contributions to employer-sponsored insurance to employees' forgone wage increases as they gain a healthier workforce and become more competitive in global markets. Physicians and other health professionals will have a simplified billing system and more time for direct patient care. We have to recognize renewal of opposition to NHI for what it is--Hillary's conflicts of interest and involvement with Wall Street, despite her denials (e.g. $2.8 million in speaker fees from the health care industry between 2013 and 2015) (9); corporate media beholden to Wall Street; and a Republican consensus to block whatever President Obama does at every turn, without giving us any assurance that they will govern in the public interest. This really is a perilous moment in the history of U. S. health care. The ACA is fundamentally flawed--a bailout to a failing private health insurance industry and other corporate stakeholders in the medical-industrial complex. Tweaks around the edges of the ACA will never bring us cost containment in a sustainable way. If Republicans gain more control of Congress, and even the presidency in 2017, health care for much of our population will get much worse in terms of access, affordability, and quality. Research over many years has shown that the majority of Americans want NHI. We have to come to grips that we cannot afford our present multi-payer financing system. There is more than enough money in the system to pay for it, but its waste and profiteering prevent us from getting what we are already paying for. We have to get the politics right to get the system we need--single-payer financing that we all can afford. 1. Mathews, AW. Insurers flag deepening losses on health law. Wall Street Journal, February 11, 2016. 2. SEC 14A Schedules, Bureau of Labor Statistics, Current Population Survey, 2014. 3. Nelson, CM, Meckler, L, Nicholas, P. Clinton, Sanders clash over cost of plans. Wall Street Journal, February 12, 2016. 4. Krugman, P. Op-Ed. Health reform realities. New York Times, January 18, 2016. 5. Himmelstein, DU, Woolhandler, S. On Kenneth Thorpe's analysis of Senator Sanders' single-payer reform plan. The Huffington Post, January 29, 2016. 8. Woolhandler, S, Himmelstein, DU. Single-payer health plan wouldn't cost U. S. more. Philadelphia Inquirer, February 5, 2016. 9. Jilani, Z. Hillary Clinton's single-payer pivot greased by millions in industry speech fees. The Intercept, January 13, 2016.